Thermage is a minimally invasive nonsurgical treatment for reducing the appearance of wrinkles and tightening the skin by prompting your body's natural collagen production. Thermage, also known as ThermaCool®, reduces the appearance of wrinkles without surgery, downtime, or scarring. More men than ever are drawn to this treatment because it is fast-acting and subtle, revealing a smoother and more youthful appearance in as little as one treatment. Thermage delivers radiofrequency waves of heat through a handheld device to contour and tighten the skin tissue and stimulate the production of collagen. The top layers of skin (epidermis) are protected during the treatment with a cooling spray while the radio frequency energy significantly heats up the lower layers (dermis). This heating action causes skin to tighten immediately, reducing the appearance of wrinkles in the treatment area. Thermage can be used on all areas of the face, as well as on the neck, stomach, arms, legs, and hands. It is an effective anti-aging treatment that avoids all chemicals, needles, and incisions. It increases skin elasticity and overall tone to establish tighter, younger-looking skin. If you’re looking for a non-surgical way to combat the signs of aging, Thermage can give you a more relaxed appearance without downtime, scarring, or bruising associated with more invasive skin tightening procedures. The Thermage treatment takes about two hours and can be completed during lunch or before work without any visible side effects—you can return to normal activities the minute you leave our office. Results are visible immediately and will improve over the next six months as new collagen grows to further tighten your skin. The treatment is non-invasive, FDA-approved, and highly effective. It is particularly popular with men because it does not result in scarring and has virtually no recovery period. Am I a Good Candidate for Thermage? 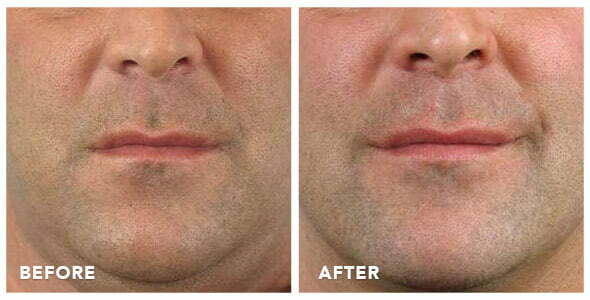 Dr. Sobel has helped many men improve their appearance and regain youthful confidence with Thermage. He can evaluate your skin and discuss your needs at a complimentary consultation. Contact us today to find out if Thermage is right for you.